We are open everyday from 12.00 am till 02.00. The kitchen is open all day form 12 till midnight , and we have also serve "Irish breakfast" all day. 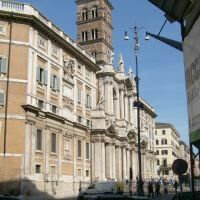 All the staff are bilingual and we have tables outside overlooking the Basilica of Santa Maria Maggiore. We cater for Wedding Diners and Parties.